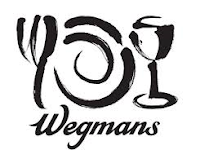 Wegmans Food Markets offers internships for full-time college students working towards a degree in the Culinary Arts, Hospitality, or related field. Students must be enrolled in an associate degree program and be willing to work for the company after graduation at one of their new locations. Students selected as interns will work across the store's various departments, including Cheese, Produce, Seafood, Meat, Pizza, Sub shop, Bakery, Prepared Foods, Wokery and Sushi. They will gain valuable experience and knowledge about the company's products and in food preparation. Students must have a strong interest in customer service and the culinary/hospitality industry. Applicants must have basic skills in culinary techniques such as cooking and knife skills. These skills will be used to perform culinary tasks within the store's Market Café which offers occasion cakes, fully-prepared meals, sushi, salads, BBQ, and catered foods. Wegmans Food Markets offer organically-grown fresh produce and over 380 organic products at stores in Maryland, Massachusetts, New Jersey, New York, Pennsylvania and Virginia.